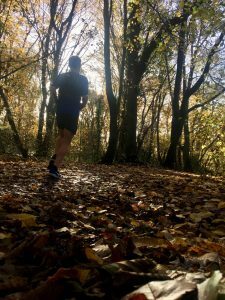 As it’s international men’s day, my thoughts turned to how great running is for my sense of wellbeing, but how I also think it’s important to be somewhat cautious with regard to running being a miracle cure for all ills. Running, or some other fitness, is vital to me. As I said to someone on our club run on Sunday, thinking about a problem whilst you’re running can be constructive – sitting on the settee thinking about it rarely is. And of course, sometimes running just lets you temporarily escape those problems and just focus on the here and now, not least if you’re in beautiful surroundings. The chemicals you’re getting from running directly enhance your mood, so it really is a great thing to do. About a year ago I went through a very bad time at work, being bullied & victimised in an institutionalised fashion. I work somewhere else now and in a much more positive environment. It didn’t help that my family have a history of not talking about things – it’s our defining characteristic and I find it very difficult to talk about things in detail (something I share with many men I think!) – though far easier to write about it! If you’re like me about talking, try to overcome it as talking to friends about this stuff really is one of the best things you can do. I fought this issue at work, with the help of some good friends (Ryan Cullen deserves a massive mention here) but without running I really do not know what I would have been like. It gave me the space to think things through, or to get away from things altogether, and without it I could have really sunk into a dark pit of despair. Instead, running helped me remain positive, keep a hold on “normality”, and ironically the additional time I put into running as an antidote to the stress resulted in course PBs at 5 different parkruns in a row and an overall p.b haha! I wouldn’t recommend it though! Running really is incredible and it can help in so many ways - but there’s a little caveat that I’ve been thinking about lately, which arose when I sensed a hip issue that thankfully didn’t come to anything. What happens when we can’t run? If we rely on running to make us feel good, what happens when we can’t run? We often talk about how awful it is to be injured and how it’s easy to become “depressed” (in a non-medical use of the word) but very often I feel we’re talking there about how much we miss running in that very general sense. Having gone through a fair few stressful life events recently, and the prospect of more on the way, the idea of this bad hip stopping me from running terrified me. It really did. I thought – “how will I be able to go through this stuff if I don’t have my “drug”? In relation to mental health, people often talk about medication being used too readily as opposed to talking and other therapies. Putting aside the rights and wrongs of that argument, running is our medication – but what’s our therapy? 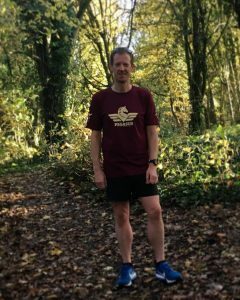 To put it another way – running helps us deal with those issues, and it’s brilliant at it, I would encourage anyone to take it up as it’s VERY likely to lead to an improvement in your feeling of wellbeing, but it’s also important to deal with those issues and not let them potentially fester, “masked” in a sense by running, only to potentially come out and take you by surprise should you be unfortunate enough to get injured. So we’re back to talking. Talk your issues through, whether that’s informally with friends and colleagues, or via professional services such as counselling or wellbeing, should you need to. Some of us might just need that listening ear of a friend to keep life on an even kilter, but many people have to deal with significant life events, situations, or mental health problems that require more – be sure to seek that help out, don’t ignore it. In the meantime, keep running, or if you don’t yet run I recommend starting - because it’s a wonderful thing that will enhance your life, your health, and your sense of wellbeing. If you need a way into running, there are many “Couch to 5k” groups that start you off really gently and built it up – it’s how I started running myself 6 years ago. They are friendly, welcoming, and do not expect a certain level of fitness. If you want to ask me or Run Wales we’ll be happy to point you in the right direction or talk it through.